One of the easiest things to do to improve the composition of your photos is to provide a unique perspective to your viewer. Alright, maybe it's not always easy... sometimes you're going to have to get down and dirty, but by providing a different view of every day objects you will get interesting photographs. 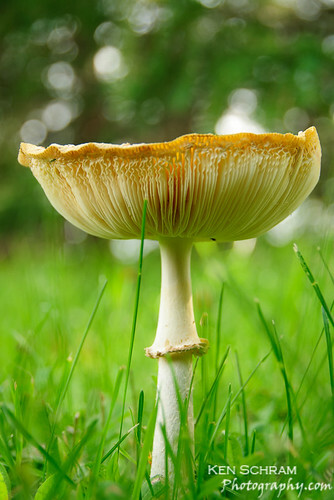 For example, when you take a picture of a flower (or mushroom), the natural tendency is to shoot down on the subject. It's the same boring, every day view. If you can get down and shoot up at the subject though, it's a view not many people take the time to enjoy. When photographing kids or pets, get down to their level and capture the world from their point of view. Give it a try and see how big of a difference it can make in the quality of your photos.